Single Dad Youtube Channels List. The Best Single Dad Youtube Channels from thousands of Single Dad Youtube Channels in our index using search and social metrics. Subscribe to these youtubers because they are actively working to educate, inspire, and empower their audience with frequent updates and high-quality videos. Data will be refreshed once a week. About Youtuber I've created this channel to help people going through surrogacy and IVF. This is my journey on how I went from jet-setter to soon to be single father. It has been a long and at times very painful journey, but it has been well worth it. About Youtuber Single Dad and his daughter doing fun things, trying to make some cool memories and videos along the way! About Youtuber My name is Darren. I am a single dad. I have faced many struggles along the way and hope that single dad life will help you to avoid some of the mistakes I made and lessen the pain of going through a divorce. My mission is to make sure no one feels alone and I believe that everyone is entitled to a happy fulfilling life. I've found that with the support of others and positive reinforcement anything is possible. About Youtuber The new superior dad is a single dad that wants to create a meaningful relationship with their child. It's the new dad that wants to fulfill their purpose as a dad and husband. It's the experienced dad that wants to continue showing up in the lives of their loved ones. It's the family dad that wants to create lifelong memories for their family. About Youtuber I am a single dad that loves Overlanding/Camping. Join me as I navigate being a single father and adventurer seeker! About Youtuber Well, since being a father Its been ups and downs! There are so many times I wished I had recorded things my son has done or said and now I will hopefully be able to share those memorable times!!! Stay tuned for so much more!!! About Youtuber I'm just a 19-year-old, single dad, and college student sharing my life with the world. My goal is to encourage anyone, and everyone that I can, showing them that no matter the circumstances you can achieve anything you set your mind to! About Youtuber Hey friends! I go by The Journey Dad and I am a single father trying to help other single parents learn to handle and cope with being a single parent. This channel is just to show my journey on the road to success and the steps I have taken along the way. I hope you can learn something from my channel either from my successes or my mistakes. About Youtuber In our family travel vlog, I'll show you how I'm raising my daughter to be a world traveler. Really this is a single parent travel vlog offering travel tips and parenting ideas. Join me as I ruin my daughter's life one country at a time. About Youtuber A solo dad trying to raise his daughter right in a crazy world. Being a single father isn't always easy, but it is always worth it. About Youtuber A dad that drinks and a kid that knows things talking about current events, serious topics, and the life of a single dad and a lippy kid. About Youtuber This channel was made to inspire people and to tell my story. I'm a widower and a single father of a 7 & 4 year old. My daughters are my "WHY" and inspire me to be a better father and to honor the life of my Queen, late Wife Jenica Price. About Youtuber Follow us to keep up with videos on single dad from chris white. About Youtuber Hey everyone, thanks for stopping by. I am a single father of two kids who unfortunately don't live with me. I do have them as much as I can however. When they are over we like to have fun, and this channel is dedicated to that. So if you want to watch a dad having fun with his kids this is the place. About Youtuber Follow us to keep up with videos on single dad from Single father ng Kuwait. 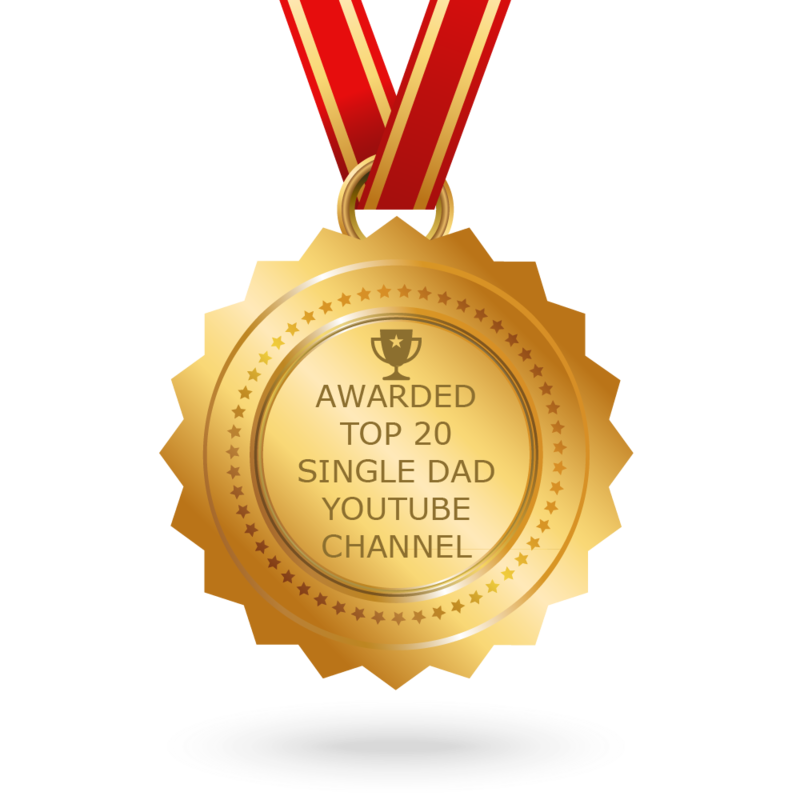 CONGRATULATIONS to every youtuber that has made this Top Single Dad Youtube Channels list! This is the most comprehensive list of best Single Dad Youtube Channels on the internet and I’m honoured to have you as part of this! I personally give you a high-five and want to thank you for your contribution to this world.